Continuing Education Units (CEUs): 0.8 units. 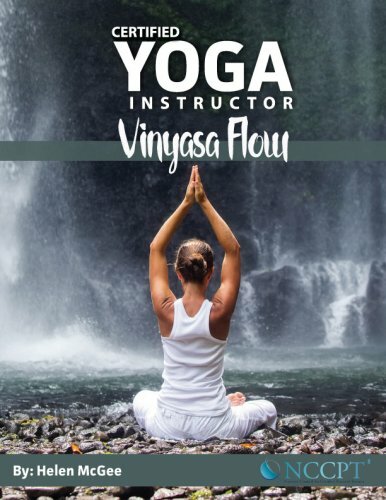 Opportunities to teach the ancient and transformative benefits of Yoga are everywhere, and now the NEW Certified Yoga Instructor Course presents the foundation for teaching Vinyasa Flow Yoga classes and obtaining your yoga certification online so you can study and learn at your own pace. 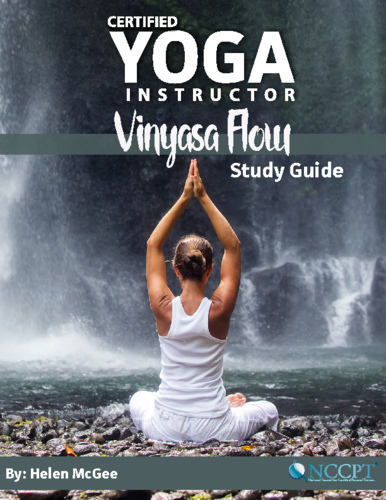 The videos and manual cover the history and theory of Yoga, body structure and anatomy, yoga poses and sequencing, breath work, tools for teaching yoga effectively, instructing special populations and the business of the Yoga profession. The online yoga instructor certification course allows you to study and practice at your own pace, from the comfort of your Yoga mat. This is an entry level specialization certification to help personal trainers, group exercise instructors and other fitness professionals incorporate and instruct students in Yoga. Prerequisites: Must be 18 years or older with a valid photo ID and valid CPR card. Purpose:The purpose of the Yoga Instructor (CYI) credential is to prepare students to safely and effectively teach yoga in a class format or one-on-one training as well as demonstrate that candidates have met established criteria for yoga instructors established by the NCCPT. For more information go to the candidate handbook. If you would like to take your exam at PSI and do not need any study materials, choose CYI Exam Only. For optional study materials, choose from the packages below. *Packages include one exam attempt, but do not include proctoring fee paid separately to proctor service. Learn the deep and rich history of Yoga, practiced 5,000 years ago. 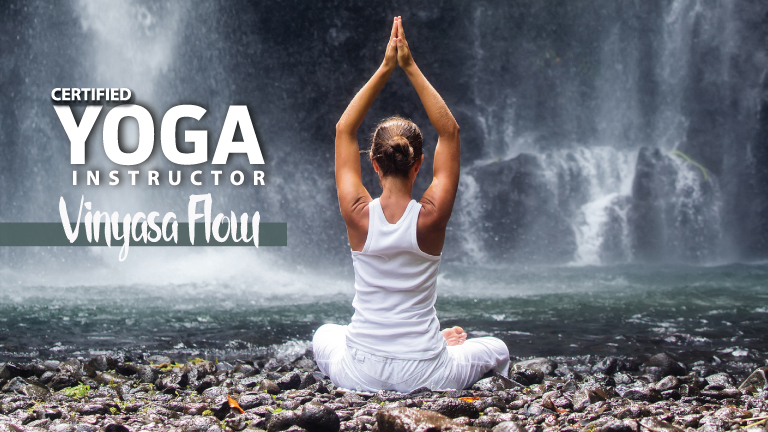 Learn the benefits that flow beyond increased flexibility. Learn proper pranayama (breathing) and asanas (poses). Learn key Sanskrit terms and teaching tips. Learn special considerations for pre- and post-natal class participants. There are no prerequisites to take the exam. The NCCPT recommends that you adequately prepare before attempting your exam the first time. We will even provide you with a list of open resources you can utilize to prepare. You will have 6 months to take your exam, after which a late fee will apply. A government photo ID and a valid CPR card are required. You will be given 120 minutes to take the exam. Retake exams must be purchased separately. Helen began her journey in the fitness world as a personal trainer and is certified with ACSM, NCCPT, and ACE. She has been fortunate to complete yoga teacher trainings with Sri T.K.V. Desikachar, Bryan Kest, John Friend, and Eric Schiffman, and teaches yoga classes and retreats worldwide. 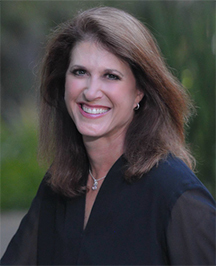 Very often, she is able to use her Sports Psychology degree when working with her clients and students. She is the author of "A Communications Manual for Western Yoga Teachers". When not on the yoga mat, you can find Helen on a tennis court. She is a certified Wellness Advocate for doTERRA Essential Oils, and loves teaching how to use essential oils as natural medicine to safely and effectively feel better. We would be more than happy to answer any question you may have about this course. Please fill out the form below and a Career Adviser will contact you shortly. © 2019 The National Council for Certified Personal Trainers, All Rights Reserved. Education and Business Solutions for Health Care Professionals.